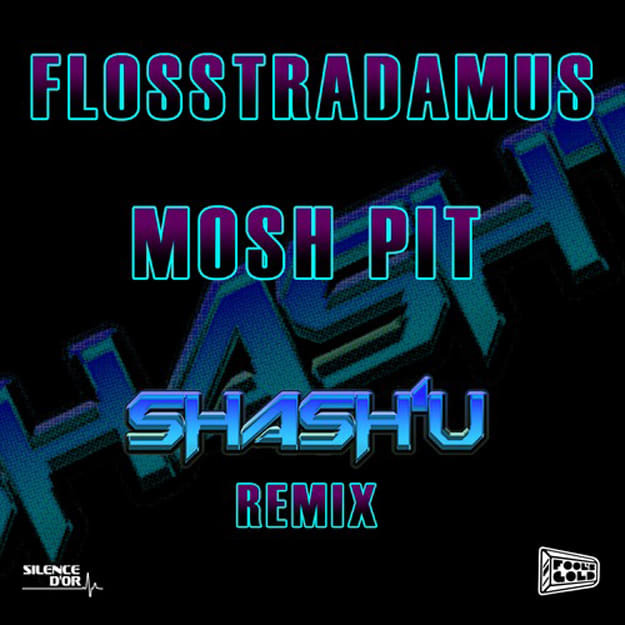 Flosstradamus - "Mosh Pit (Shash'U Remix)"
Never heard of Shash&apos;U before this track. That&apos;s just how life ended up. I&apos;m not a role model. Anyway, in a world where "Mosh Pit" remixes are so prevalent that you could probably play a four-hour set of just the decent ones, we get yet another. Why would I write about it? It&apos;s damn good, that&apos;s why. It stays in the trap zone, but just makes the track crazier. Pretty impressed with this Montreal producer and you better believe I&apos;ll looking up more music on his Soundcloud. Maybe you should, too.